3:56pm – The show has begun! 3:56pm – 4:00pm – Insane awkwardness. I feel sorry for the people in the theater. 4:00pm – Trippy on-stage dance performance set to Queen’s “Don’t Stop Me Now” complete with animated crabs and anthropomorphic suns. This is getting weird, everyone. 4:02pm – There are giraffes, pandas, and lions onstage. Costumes, of course. Honestly I can’t describe this. This is like the strangest thing I’ve ever seen. 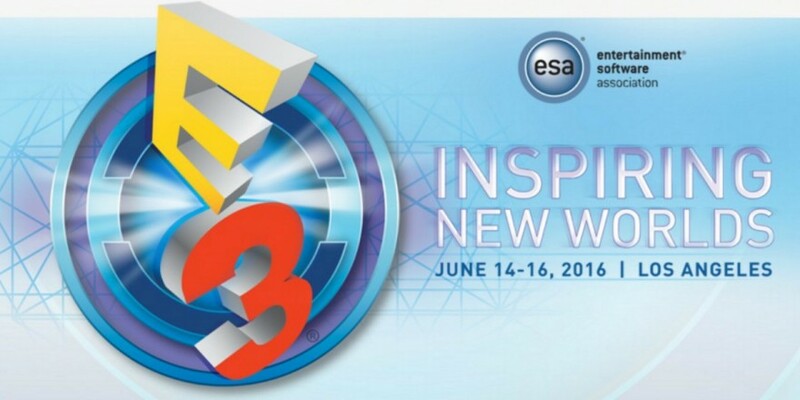 4:03pm – Aisha Tyler takes the stage as the hostess of the Ubisoft E3 2016 press conference. 4:05pm – Just Dance 2017 is coming out in… 2o17. It’ll be on all platforms, including NX. 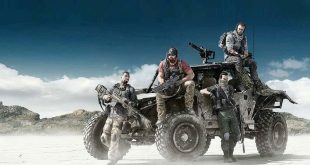 4:08pm – Ghost Recon: Wildlands gets a new trailer! Also, Aisha Tyler reminds all of us that we should be drinking while watching Ubisoft E3 2016. The game looks pretty cool, too. It’s another CG trailer, though, so we need to be wary. 4:12pm – Dominic Butler, lead designer of Wildlands takes the stage to describe the game. The game can be played entirely in solo, or in a co-op mode that supports up to 4-player co-op. It imagines Bolivia as a “narco state” driven by a corrupt local government and a brutal cartel. 4:13pm – Gameplay video for Ghost Recon: Wildlands is shown. The environments are stunning, but the gameplay isn’t really showing us anything we haven’t seen before. Also, the co-op is really obviously scripted and it’s honestly awkward to watch. 4:22pm – Ghost Recon: Wildlands will be released on March 7, 2017. 4:23pm – South Park: The Fractured But Whole gets a new video, and Jason Schroder from Ubisoft San Francisco hits the stage to introduce Trey Parker and Matt Stone. 4:25pm – New, uncensored gameplay footage for South Park: The Fractured But Whole is shown. Just like Stick of Truth, it looks and sounds just like the show. There are a lot of different classes to choose from, and each one has its own abilities. Hopefully the classes make more of a difference than they did in Stick of Truth. 4:29pm – More South Park: The Fractured But Whole footage. It’s all about backstory, and it’s pretty funny. 4:31pm – The combat in South Park has been upgraded – you’re no longer stuck in place, but are able to move about a grid-based environment during battle. You’re also going to be able to use the farts of your character to rip the fabric of time itself and use it to your advantage in battle. Yup, it’s South Park alright. 4:33pm – Anyone who buys South Park: The Fractured But Whole gets Stick of Truth for XB1, PS4, or Steam for free. This includes pre-purchases. The game will launch on December 6, 2016. The segment closes with a new trailer, which absolutely slams Marvel’s movie universe. 4:37pm – Julien Gerighty comes onstage to talk about The Division with Aisha Tyler. Underground will be the first expansion, and it’ll be here soon! To celebrate the 30th anniversary of Ubisoft, Division players will get three free in-game outfits based on Splinter Cell, Rainbow Six Siege, and Ghost Recon: Wildlands when Underground launches. The second expansion will be called Survival, and it’ll be here “very soon.” The Survival expansion also got a new trailer. 4:43pm – Eagle Flight VR becomes the focus. The game is being played live on stage. It looks pretty insane. 4:50pm – David Toypka of Ubisoft’s Red Storm division takes the stage and gushes about VR. 4:51pm – Star Trek: Bridge Crew, a VR game, gets a trailer. It looks absolutely insane. I am totally geeking out about it, to be completely honest. 4:55pm – More hype-based talk about Star Trek: Bridge Crew. It kinda sounds like that Mission: Space ride at Epcot turned into a VR game. Honestly there’s probably not enough substance here to merit this much stage time. The celebs seem to genuinely enjoy this, but I’m ready to move on. 4:59pm – More For Honor! Yay! 5:17pm – This trailer is so 80s. Trials of the Blood Dragon is announced, and it looks ridiculous. Which is perfect. IT’S OUT NOW! Wow, that’s awesome. 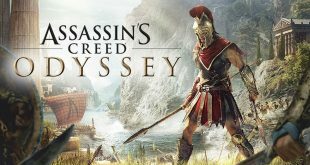 5:24pm – An Assassin’s Creed movie trailer is shown, which features footage alongside interviews with the cast and crew. It comes out 12/21/16. 5:27pm – Watch Dogs 2’s Jonathan Morin takes the stage and shows off some gameplay footage from the game. As we learned from the first one, though, we can’t get too excited until it’s in our hands. 5:37pm – The Watch Dogs 2 video finally ends. 5:38pm – Yves Guillemot takes the stage to talk about Watch Dogs 2. He brought Sony’s Jim Ryan out to talk about Watch Dogs 2 and the film adaptation that is in the works. 5:40pm – More Watch Dogs 2, this time in the form of a more theatrical trailer. 5:42pm – If you pre-order the limited edition of Watch Dogs 2, you get a robot! Pretty cool stuff. 5:44pm – Ubisoft officially announces Steep, even though two videos for it have been live on their YouTube channel for a little over 15 minutes. 5:46pm – Coutaz and Manceau from the stuido making Steep arrive on stage to talk about the game. 5:47pm – We get to see some gameplay footage from Steep. 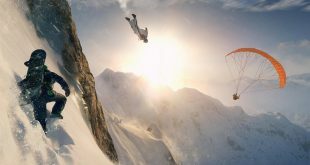 5:55pm – Steep will ship this December, and you can sign up for the beta at steep.ubisoft.com. 5:56pm – Everyone who was involved in the press conference comes on stage to celebrate the Ubisoft E3 2016 press conference and Ubi’s 30 year anniversary. 5:58pm – A closing video is shown, and the press conference ends. Whew. That felt like a long one. What did you think about the Ubisoft E3 2016 press conference? 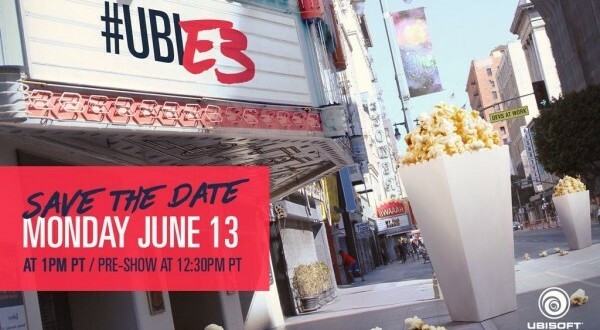 Tweet @Sage0fForest with the hashtag #UbiE3 or just #E3 to talk to me (personally) about it, and keep checking back with Load the Game for more E3 coverage and news.